First week of your salary and you are left with no savings for the month? Get benefited in a dual way by getting insured and saving at the same time. Let’s find out how? Whether you are in your 30’s or even older than that, you tend to splurge like a rich man and save nothing. You love to buy stuff online or elsewhere. In short you have no count of your spends! However, there are so many means to invest your hard-earned money. One of the best options available is an ‘endowment plan’. So, its better you pull your socks up and take time to invest in one! Who should buy an Endowment policy? It’s a fantastic saving option for a salaried person, professionals, and businessmen, etc. who have regular flow of income. It’s also wise for people who are not great at saving and splash extravagantly without any financial security. People who are not good at taking risk should opt for such plans where the returns are sure shot. Lastly, people with desires, dreams and the ones who want to meet their long term financial goals and opt for a two way benefit plan of saving as well as a life cover. Provides life coverage along with a benefit to earn returns from your hard earned money. This is however possible over a specific period of time so as to receive a lump-sum amount on maturity of the policy. Provides full sum assured to the beneficiary of the policy holder in case of any mishappening. Protection and financial stability for the loved ones. To save for future investments over a long period. 3) Why should one purchase an endowment plan? Would be of a considerable help in case of death of the breadwinner of the family. Endowment plans are more beneficial as you tend to get a life cover as well as an opportunity to build a secured future. Traditional (participating): In this type of the policy, the insured ‘participates’ in the company’s profits which are given as bonus. And this bonus is decided by the insurance company. Traditional (non-participating) : In this type of the policy, the policy holder does not participate in the insurance company’s profits. All the proceeds payable under the policy are guaranteed at inception. Unit linked endowment policy (ULIP) : This policy provides risk cover for the policy holder along with different investment options i.e. invest in stocks, bonds or mutual funds as decided by the insurer. Full endowment : A full endowment is a with-profits endowment plan where the basic sum assured is equal to the death benefit at the start of policy and, assuming growth, the final payout would be much higher than the sum assured. Low cost endowment policy : These policies are basically used to cover any existing loans or mortgages. This type of policy pays a minimum value which will cover the loan amount either on death or maturity. 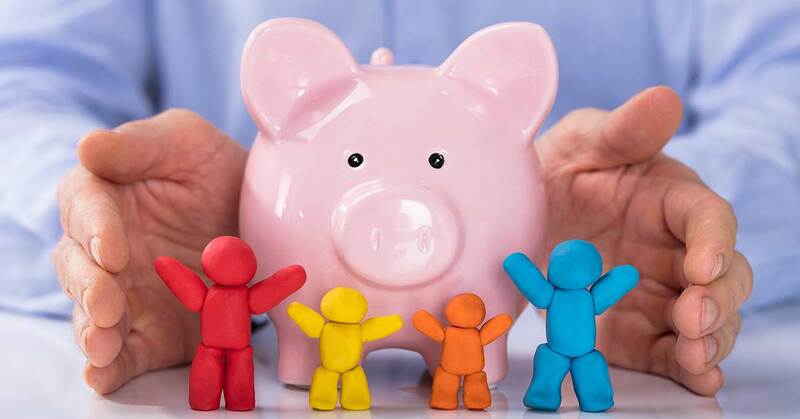 Tax Benefit: One of the biggest benefits one can come across post buying an endowment policy is that it provides tax exemption under Section 80C and 10 (10D) of the Income Tax Act. Check the services and claim settlement ratio of the insurance company. Check financial stability of the company. Hence buying an endowment policy will put your worries at ease. It will not only save your hard earned money, but also make you a disciplined saver.